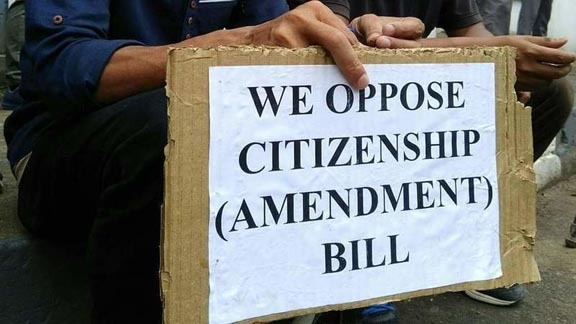 Around 31,300 Hindus and other minority community members from Pakistan, Afghanistan and Bangladesh are expected to get immediate benefit if the continuous Citizenship (Amendment) Bill, 2016 is passed in the Parliament. According to the Intelligence Bureau (IB) to the Joint Committee of Parliament on the Bill, as per a report placed in Parliament last week around 31,000 Hindus have already entered the country with long term visa in the aftermath of alleged religious persecution, reports edennews. According to the report, the IB had told the panel that a section of illegal Bangladeshi migrants are indulging in anti-national activities. The agency went on to say that there is ‘no security implications’ if citizenship is given under the new amendment as ‘all these persons are already living in the country for decades’. Among 31,313, the IB said, 25,447 are Hindus, 5,807 are Sikhs, 55 Christians and two each Buddhists and Parsis.